For decades, record stores were at the very heart of the music community. It was where you bought the music you’d heard on the radio or read about in magazines; and in the best shops, the place you’d be introduced to stunning new releases by knowledgeable staff – counter culture in the most literal sense. 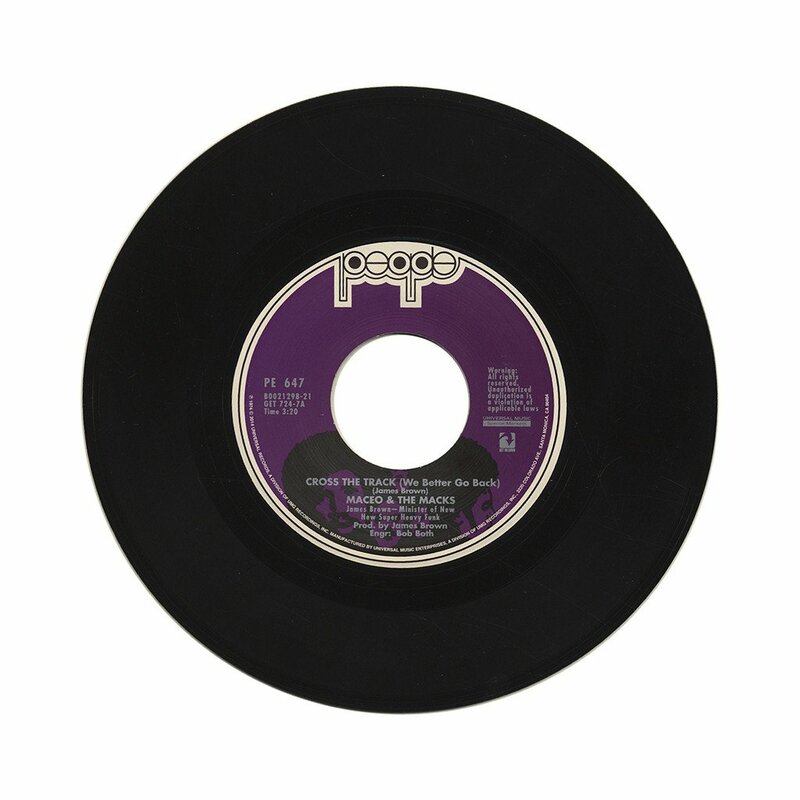 The format was vinyl – and for many years the 45rpm 7” single ruled the roost. 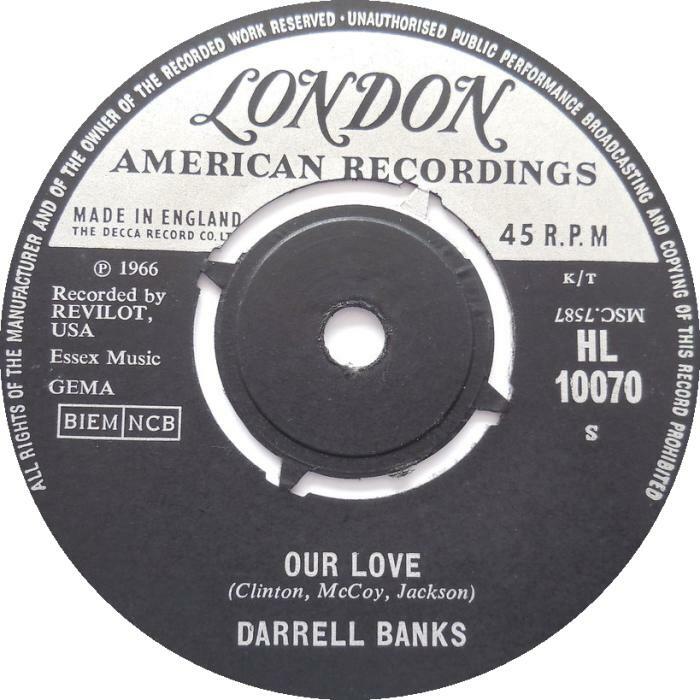 Named after its diameter (7”) but often referred to by the speed at which it rotated on a turntable (45rpm), the format’s arrival in the world was perfectly timed. The long-serving 78rpm was showing its age, and the post-war music industry was investing in upgrades. Columbia focussed on records that played at 33 1/3, dubbed ‘long players’ (LPs) as they could accommodate up to 20 minutes of music per side. Their rivals over at RCA went for something much smaller – the 7” ‘single’ (so named as it usually housed a single 2-3 minute track per side). Launched in 1949, the 7” format (portable, punchy and cheap) had an immediacy that struck a nerve with the music buying public. 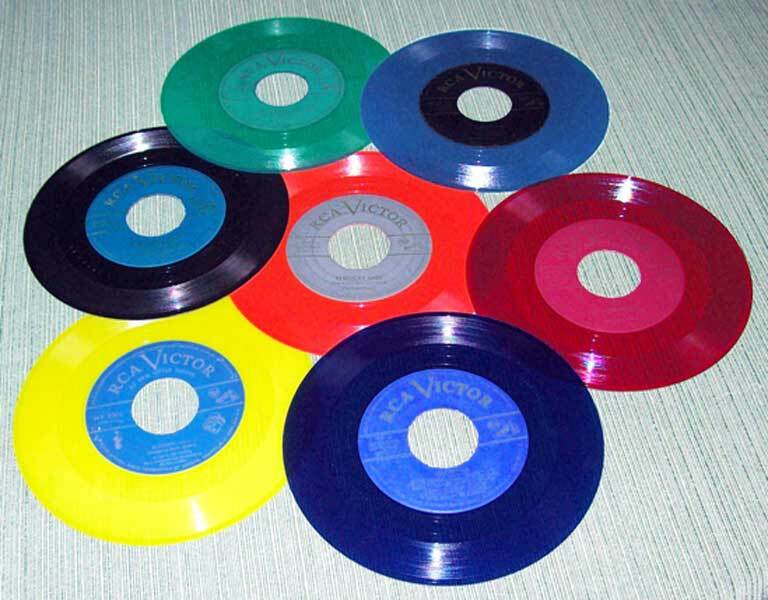 Such was its popularity, that while the pop hits of the day were on standard black vinyl, RCA colour coded their releases in more specialist genres. Instant and affordable, the 45rpm 7” was the ideal format for the rock’n’roll revolution in the second half of the 1950s, and the suddenly booming teen market. The 60s saw the format continue to develop. More releases were recorded in stereo rather than mono. Acts gave fans value for money by not placing single releases on their LPs, and creating desirable ‘B’ sides. 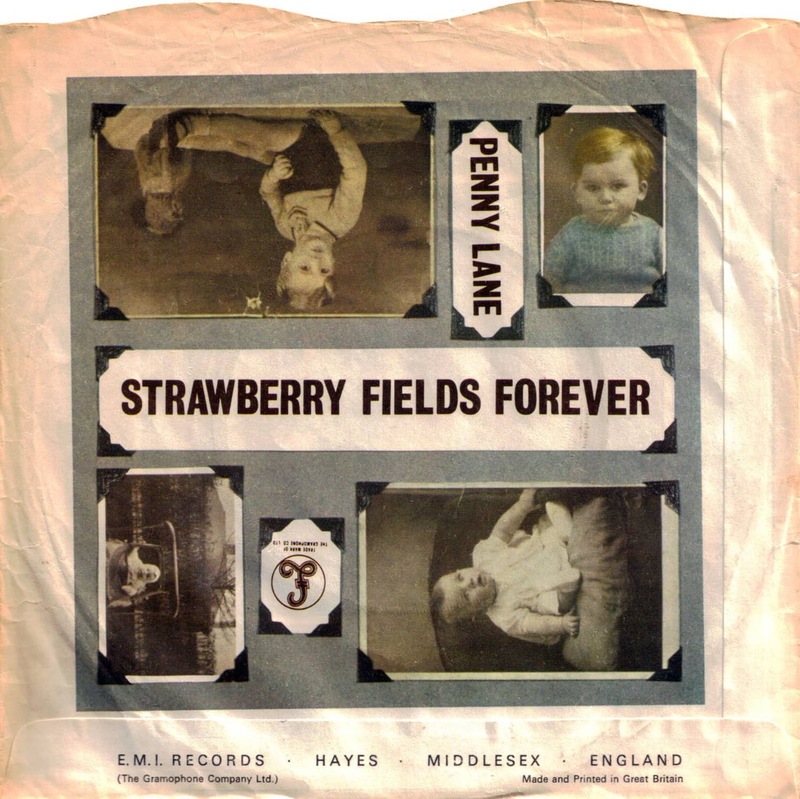 Arguably these two themes reached an apotheosis in 1967 when the Beatles gave us their ‘double A side’ release Strawberry Fields Forever / Penny Lane – both tracks recorded during the sessions for the Sergeant Pepper album, but only available on the 7” release. Dance music equally excelled on the 7” format, not only with the radio friendly Motown sound, but on tens of thousands of soul and r’n’b releases, with DJs carrying their precious cargo around in custom-built record cases. Picture sleeves were not commonplace at the time, so labels were very particular about their artwork, soon realising that a well-designed logo visible on both the sleeve and label could help ensure customer trust and loyalty. 7” single sales were at an all time high in the mid-70s, but it was then that a new challenger emerged, and club culture was responsible. With more and more DJ-friendly edits and extended mixes being produced, pressing them onto 12” vinyl was seen as sonically preferable. Not only did the more widely spaced grooves generate a greater volume that worked in clubs; they were also a godsend for DJs searching for the track’s ‘breaks’ in a dimly lit niterie, be that beat mixing disco DJs or cutting and scratching hip hop pioneers. 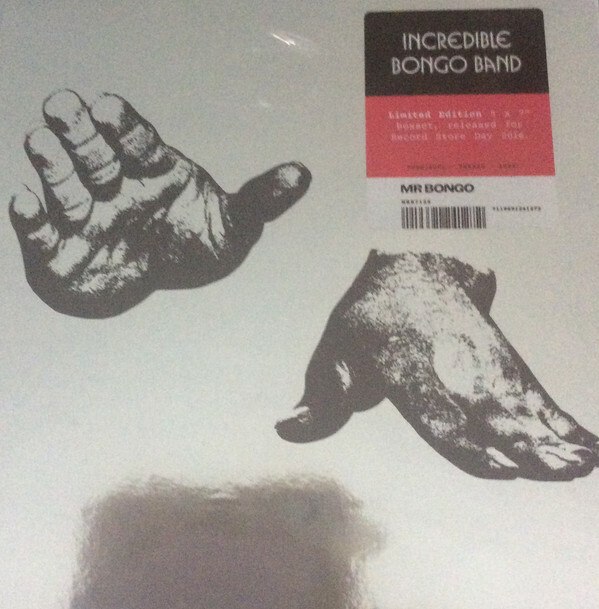 Initially the 7” held firm, and marketing departments strived to keep it so, reviving coloured vinyl, giving us 7” ‘double packs’ in gatefold sleeves with bonus tracks. 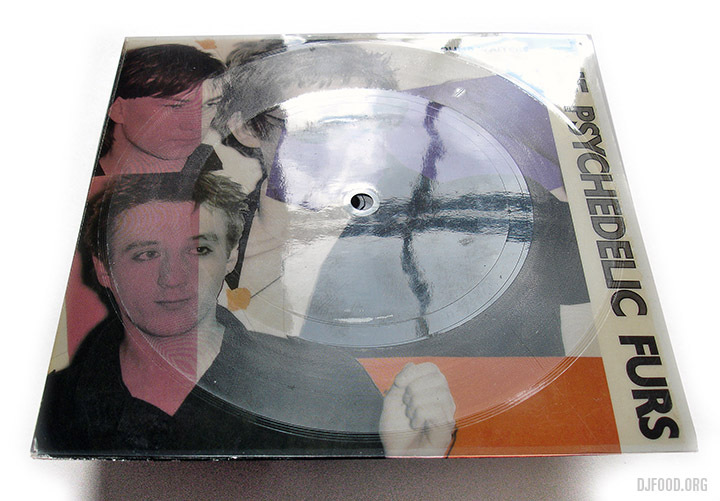 John Lydon launched Public Image Limited with a single housed in a newspaper sleeve, whilst the Psychedelic Furs even claimed the first playable record sleeve, their Dumb Waiters release having a ‘flexi disc’ stuck to the artwork. However, with the advent of first the Boombox and then the Walkman, the cassette rose to prominence. Hot on its heels, the music industry began to invest heavily in its new baby, the Compact Disc. When even jukeboxes, for years a focal point of the singles-listening experience for customers and a major promotional tool for labels, switched to CDs, the 7” vinyl single’s time was up. Death when it came was swift, and mourned by few. 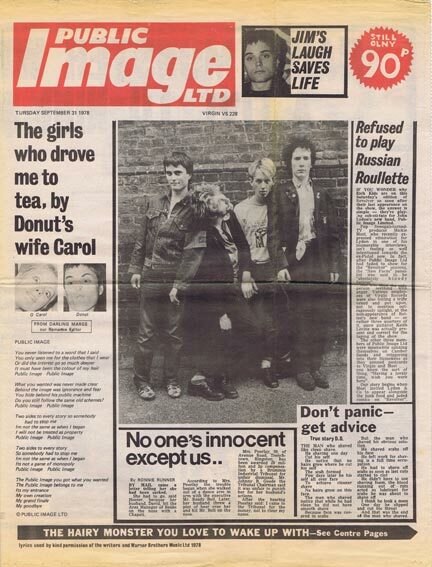 It was collectors that kept the 7” market alive, albeit increasingly in the form of trading secondhand items. DJs were central to this. It became commonplace for sought after northern soul 7”s to sell for hundreds of pounds, with enterprising dealers making Stateside trips to raid old vinyl warehouses to exhume soul obscurities. Funk underwent a similar experience in the mid-80s at the height of the ‘rare groove’ revival. More recently a collector’s market has grown for hip hop 45s. Much has been written about the vinyl revival of the last decade. In truth, it is but a drop in the vast musical ocean both in terms of current market share; and when compared to the format’s sales heyday. However, it has to be worth noting that whereas cassettes have disappeared completely and CDs are fast going the same way, there IS an increasing demand for vinyl, arguably a reaction to the relatively soulless streaming experience. Thoughtfully curated and tastefully presented box sets of 45s are now an established part of the release schedule of archivist labels such as BBE, Soul Jazz, Mr. Bongo and even some of their counterparts at major labels. 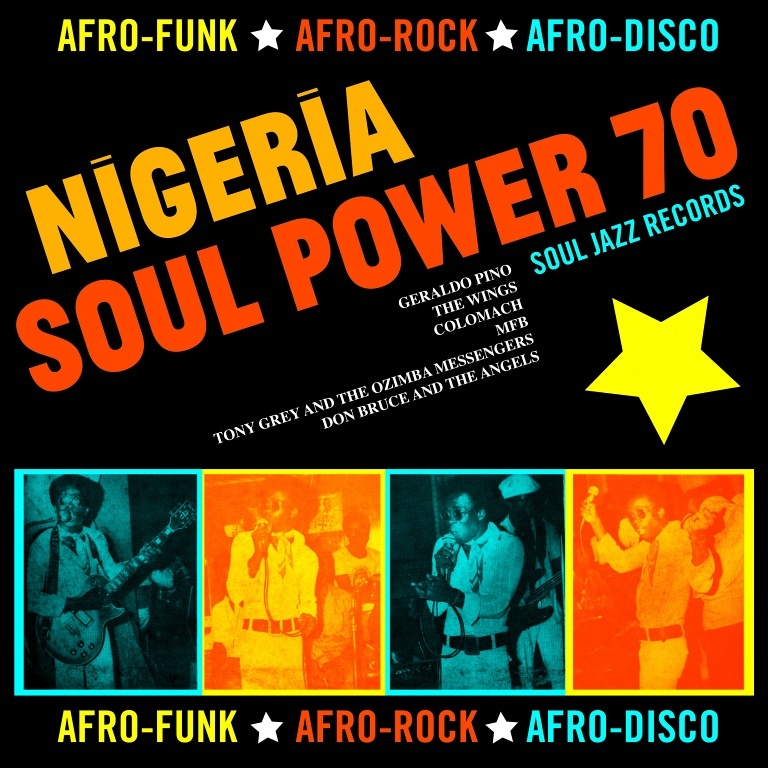 As well as soul, funk and afro-beat, traditionally 12”-based genres house and hip hop are represented. With vinyl, you purchase an artefact; putting that needle down is physical interaction with the music. A romantic view? Old school? Maybe. But why not pop in to your local independent vinyl store – after all, would you rather be tipped off on new tunes by a clued up music obsessive or an algorithm? Two long-serving, legendary, still in-demand DJs who have long championed the 45 are Greg Wilson and Danny Krivit. Here you can check out a series of 7” sets compiled by Greg in 2010; and get a taste of the 7” only parties Danny still plays in New York. Get 7" releases from Glitterbox, Classic Music Company and Defected at the DStore.